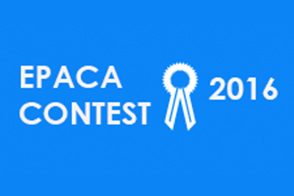 The European Public Affairs Consultancies’ Association proudly invites young Public Affairs professionals to participate in the sixth EPACA Essay Contest. To honour the memory of EPACA’s first Chairman, we have renamed the competition the John Houston EPACA Essay Contest. Few people played an equally huge role for the Public Affairs industry in Brussels. John was instrumental in creating the first Code of Conduct back in 1995, laying the foundation for the strong industry ethics we still abide by. The lobby environment in Brussels would certainly be different if it weren’t for John’s great work. Following the success of the last couple of years’ Essay Contest, EPACA wishes to continue to promote the Public Affairs profession by recognizing original thought and writing talent. We encourage young Public Affairs professionals to help shape attitudes both within our profession and outside, by sharing your views and experiences in an essay competition. All young professionals under the age of 30 (born on or after 1 January 1986) working for consultancies who are members of EPACA are invited to join the competition. Contributions should be sent to the EPACA Secretariat by e-mail (info@epaca.org) by 10 February 2016 at the latest. The jury is composed of the members of the EPACA Professional Practice Panel: Lisette Tiddens, John Bowis, Tom Spencer, Alain Perroy and David Coen. The winner will be announced at the EPACA Annual General Meeting on 10 March 2016, where the prize will be handed over by the EPACA Professional Practice Panel.